Sunday Spotlight is a weekly feature hosted by PrintedWordsAnd, highlighting the best book read during the week. 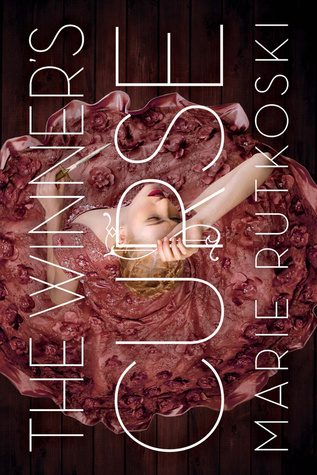 This week's spotlight is reserved for The Winner's Curse by Marie Rutkoski. The Winner's Curse was released at the start of this year, and has garnered an immense amount of popularity and hype. It centres around Kestrel, the general's daughter of an empire won over by war and violence, and her instinctive decision to buy a young slave at an auction. Kestrel finds a spark in the slave, Arin, that surprises and intrigues her. Yet, Arin hides a secret, one that could cost Kestrel more than what she bargained for. I was absolutely addicted to this, right from the get go. Marie Rutkoski has a way with writing, impactful and descriptive. The world building was great, very believable and vibrant. Likewise, the characters had depth and were likeable. Kestrel is intelligent and independent, and I admire her skills in warfare - that was definitely an interesting an aspect to a YA heroine. Arin I sympathised with, but I'm not sure I agreed with his ways at the end. Still, I'm interested to see how far his emotions will take him and what role he plays in the sequel. This, coupled with the strong plot - logically drawn out and paced well - meant that The Winner's Curse was an amazing and enjoyable read. It was also a plus that the relationship development was actually done right, so at least I could see how and why they were drawn to each other. The ending was definitely bittersweet and I cannot wait to read the next book. What was your favourite read? Yeah the cover did sway me, but I thought it was strong in the way that she wrote the story and how it played out. So glad you enjoyed this one Tracey! A lot more than me at least. I can't exactly remember why it wasn't the right book for me but I think historically it seemed all wrong, and the characters did not sit well with me at all. But I'm definitely in the minority with my rating haha! I feel weird cause of all these mixed reviews now! The historical setting was a bit different, but I'm excited to see how the second novel will work out. Ah, I read this book last week too, and it was very enjoyable! Though I did find it a little underwhelming.